The Health and Human Services Committee heard testimony Feb. 7 on two proposed eligibility changes to the Supplemental Nutrition Assistance Program. 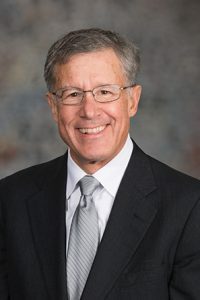 LB402, introduced by Omaha Sen. Robert Hilkemann, would remove a ban on food assistance eligibility for individuals with past drug felonies. Under current state law, an individual is ineligible for SNAP benefits in Nebraska if he or she has three or more felony convictions for the possession or use of a controlled substance or has been convicted of a felony involving the sale, distribution—or intent to sell or distribute—a controlled substance. A person with one or two felony convictions for possession or use of a controlled substance is eligible only if he or she is participating in or has completed a state-licensed or nationally accredited substance abuse treatment program since the date of conviction. LB402 would remove those restrictions. Hilkemann said that 44 states have removed or modified the lifetime ban, which he called “arbitrary” and likely to increase recidivism among drug offenders. Matt Hill of the Center for People in Need testified in support of the bill. Hill said SNAP benefits are meant to help those who are facing difficult times. Having worked in corrections for many years, Hill said he knows that transitioning out of prison is one such difficult time. “We have spent hard-earned tax money on helping them … and then we release them out into the community with nothing and expect them not to fall back on the things that they know best,” Hill said. Ken Smith, staff attorney at Nebraska Appleseed, also spoke in favor of the proposal. He cited a Florida study that concluded that removing access to SNAP benefits from formerly incarcerated people resulted in them being 9 percent more likely to reenter the prison system. “[LB402] could potentially help us address a very pressing issue in Nebraska, which is overcrowding of our prison system,” Smith said. Matt Wallen, director of the state Department of Health and Human Services Division of Children and Families, testified in opposition. He said the existing law “strikes the right balance” by providing former felons with fewer than three convictions for drug possession or use the chance to qualify for SNAP benefits if they complete substance abuse treatment. “Essentially, LB402 would eliminate helpful pathways from addiction to recovery by eliminating this provision in current law, Wallen said. 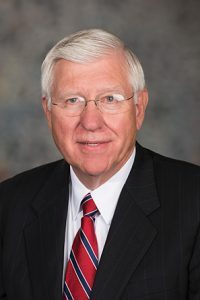 Also introduced was LB255, sponsored by Omaha Sen. John McCollister, which would increase the SNAP gross income eligibility limit from 130 percent of the federal income poverty level to 140 percent beginning Sept. 1, 2019. The bill would not increase the net income eligibility limit for the program. McCollister said the bill would address a phenomenon known as the “cliff effect,” in which a SNAP recipient loses eligibility due to a minimal increase in income. The unintended consequence of the system is that it either creates a disincentive to work toward economic mobility or a situation where a parent is working harder but is financially worse off, he said. “Everyone agrees that when people work hard they should be able to get ahead,” McCollister said. Kathy Siefken testified in support of the bill on behalf of the Nebraska Grocery Industry Association. She said many in the industry have seen the impact of the cliff effect firsthand. “Employees are actually refusing to work additional hours and they’re refusing promotions because it would place them above the eligibility threshold and they would lose their SNAP benefits,” Siefken said. Also speaking in favor of the bill was Shelley Mann of the Food Bank for the Heartland and Food Bank of Lincoln. She said the bill would help families move toward food security while also reducing pressure on food pantries and other community support systems. Wallen also testified against LB255, saying the bill could increase the number of potential eligible households in Nebraska by 35,000. Approximately 8,000 of those household likely would apply for SNAP, he said, increasing administrative expenses for the department. The committee took no immediate action on either bill.